Which I actaully from Indiana Jones and the Kingdom of the Crystal Skull. It brought about and Idea. If one was able to shrink themselves, how far could they travel? Not in latitude, and longitude, but how far could they could go with the motive to see how small they could be shrunk. Then I had another idea, if we could could go the the edge of our Universe, the actually edge of the Milky Way, where would be end up? What if we simple arrive back to where we started, just smaller. Smaller than the Atomic Level. This is as simple as it will come. The Layers, they are like planets, yet they have no circumference, and they are not Parallel universes. But they have a ground to which the inhabitants can stand on. But the layers still revolved around a central axial, The Core. 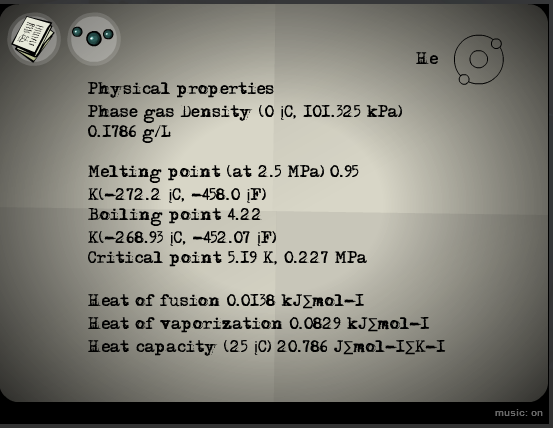 But...The Edge/ Defense System is at the Edge of the First Atom, from the Inside. But you can still get to the Core by taking the Long way around. Just like Murtuagh did all along. 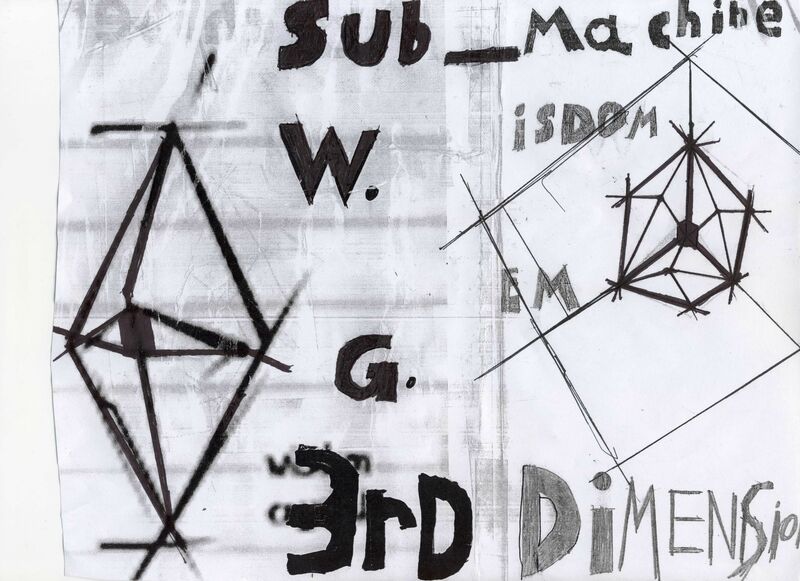 One last thing, I knew the TRUTH of the Submachine, that it once was the 3rd dimension. How? Cause Mateusz wrote down that Idea. Then drew about more and More. 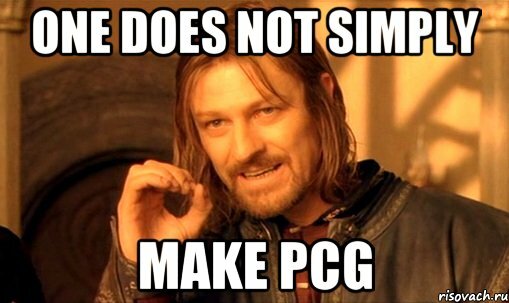 And because of the last, and simple fact we simple thought little of. What is the old say? Well then, how is it more mightier? It is one how its wield? No...it just a simple transformation, of a bunch of atoms. But its how they are transformed, and to what the image it is transformed into. Do me a favor, get a pen or a pencil, and draw a line. Oh......and the ending of Submachine 10, The Exit. Wish to know what its going to look like? A bunch of small atoms going crazy to create a chain reaction. All right I have to say it otherwise I'll go mad by the fact only I know this. Is the Submachine really nothing at all. That it was created by everyone on Earth trying to Define and create an understanding of the Universe. All the notes in the Subnet, even though 3/4 are not even Murs, but they still are in that same existences within the non-existing world. Are all those Ideas, Thoughts, Theories, Scribbles are the Actual Submachine itself. That it just first started out with its location shape by people here on Earth trying to create an understanding or at least define a faction of the Universe. But then it because this actual physical structure that even right this second is really nothing in the face of existence in the Universe, not a single Atom is actually here. Then the Loop was the result of people stepping into this Mystery and then trying to Define what it is. Start at the Beginning, finish at the End. Start at the Beginning, finish at the End. Looping and Looping and LOOPING within its construct to which I shouldn't even be standing on! How is it that this place can exist and not exist at the same time? I use to know how, it was so simple. But now my feeble mind broke under the intensity of this answer and FORGOT EVERYTHING THAT MADE SENSES! I AM NOTHING WITHOUT WHAT MAKES SENSES! 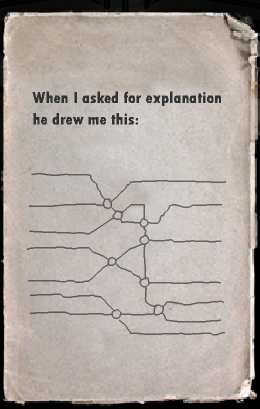 THE ANSWER WAS WRITTEN IN THE BLACK DOSSIER THAT BELONG TO MY DECEASED! THEN WHY HAS THAT FRACTION OF THIS WORLD LEFT ME TOO?! 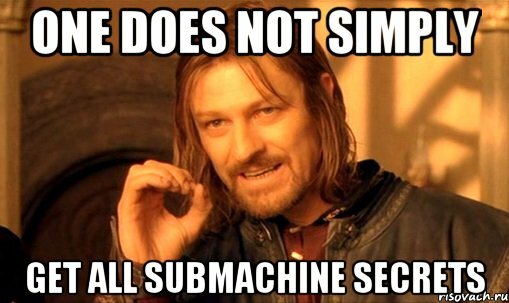 Is it the Submachine itself? Then how can it be gone? It could exist and erase itself at the same time. The ultimate balances, the only one at that, left in this mutation that has destroy even itself to the point its so unrecognizable. Did it really kill itself? Has it got nothing better to do? 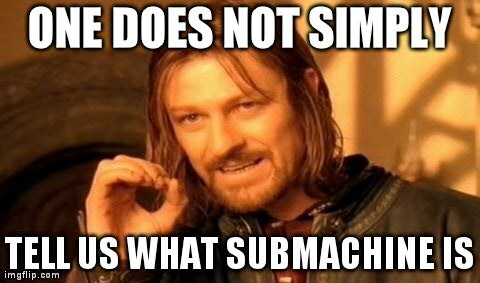 It still drive me mad on what these none existing factors contribute to the Ultimate question, "What is the Submachine?" Maybe its the question that can never be answer because the Submachine really doesn't exist at all. First of all, Its not that the Submachine is nothing, but a single something floating within a vast nothingness. I can't say without lying I'm an expert on the Atomic structure, but I did take a class about it in high school. But I do know one thing about the center of the Atom, it does not contain an atom inside of it. To say that there are "atoms within atoms" is simply madness. Beside, when I (As in the guy who is me who wrote the note that may appear in SNEE) was inside the Submachine. Meaning I was inside the first Atom before the Big Bang occurred. Since I think that since the Submachine might be this first/only Atom before the Big Bang, I also like to point something else out. Any Atom on the Periodic Table of Elements, if we took each one and drew a Proton, Neutron, and Electron, we have to draw it around the center Proton. Like how the Earth revolves around the Sun. The lines that extend outside the edge of the page, they connect to a corresponding line on the opposite edge. I find that to be the orbit path of each layer. Now...I won't reveal the rest of the Note I sent to Mateusz, I waited for a while for this chance, some of you may have been too. So how much harm will come from waiting a few more weeks/months for the next update. Again, I won't give the rest of the note away, but I can tell you what happened to me after I finish writing it. Get this thing off me! Get it off! Please ignore that stupid...whatever that guy edited at the end of the video. But....we don't know what IT was. So IT could have been anything. I think, it was not darkness, but Light. Light coming from Layer 8. And who ever HE was, he didn't just fall as in fall down, but he fell into another Layer. But hey, that is just my point of Perspective. Last edited by WorldisQuiet5256 on 13 Jun 2014 03:18, edited 1 time in total. If any of you have any question in regards to my previous post on this Black Dossier Theory Thread, please feel free to ask in a post below this one. So this thread is open to the public. Just please post something relevant. Oh, Mateusz isn't going to put this theory to SNEE?